In case you didn't have enough reasons to not use a selfie-stick -- you know, like looking like someone who uses a selfie-stick -- some NYC museums are making the choice easier for you by banning them. 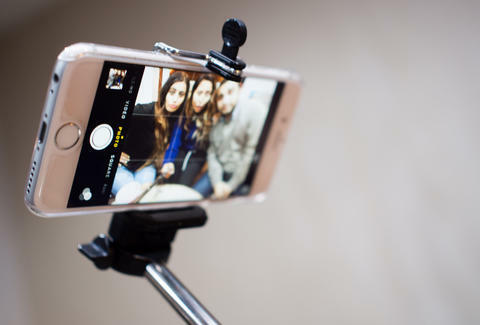 As CBS New York reported, the MoMA and the Cooper Hewitt Smithsonian Design Museum have both banned visitors from using selfie-sticks, and the Met is also considering a ban. And according to Mashable, several museums across the country have the bans in place — not to just hate on selfie-sticks, bur rather to prevent injuries and damaging the art. And also to hate on selfie-sticks. So next time you go, leave the selfie-stick at home -- it's the least you can do if you're going to skate in free with no recommended donation. This begs the question: are selfie-stick bans the future? How are good people supposed to get a selfie and the entire ancient Egyptian sarcophagus in the background with just their arms extended as far as their silly non-deity anatomy allows? Tony Merevick is Cities News Editor at Thrillist and has never used a selfie-stick, but has been stuck walking behind someone using one through a crowd so he can hate all he wants. Follow him on Twitter @tonymerevick.